Boho-Chic Purse: Hit or Miss? It’s that time again! 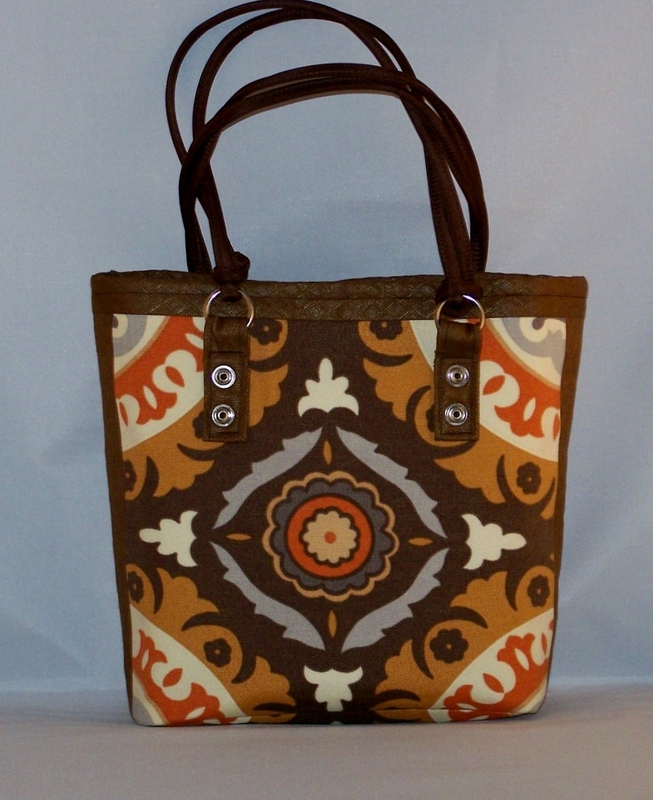 I’ve been working on this tote inspired boho-chic purse. Tell what you think…Is it a Hit or Miss? Fab or Drab? I found these textiles at JoAnn’s Fabric store. The dark brown textile has a raised print that almost looks quilted, and the Waverly canvas print compliments one another very well. 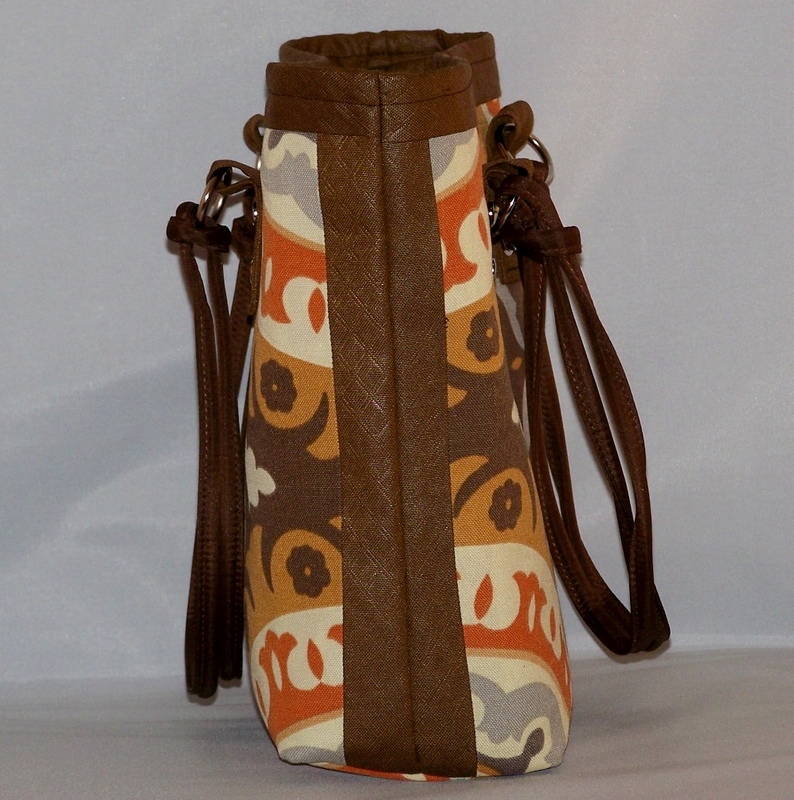 I think this could be the perfect boho-chic purse. 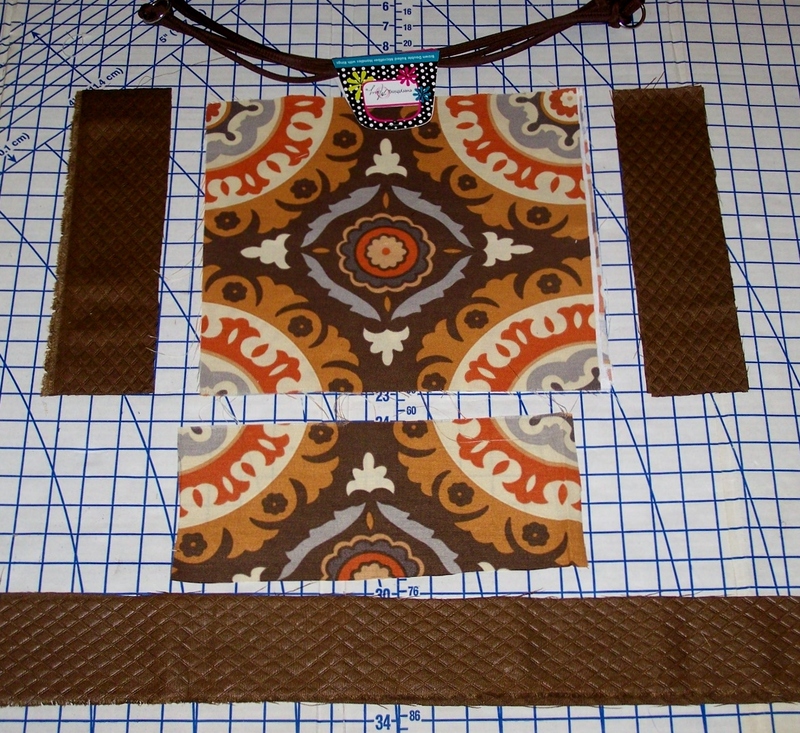 I thought a hint of the brown fabric would add a different dimension to the sides of the purse. The snaps are decorative touch. Here’s a look inside! Two inside pockets, and I’ve attached a key fob. What do you think?…Fab or Drab? Hit or Miss? Stay tuned there’s more to come from La Cartera ! Previous Post What’s Your Passion? Next Post La Cartera’s Retail Display. I love it! I think it’s a hit, it’s perfect for fall. Great job! It’s awesome! So perfect for fall! Thank you! I love these fall colors too. Definitely hit! 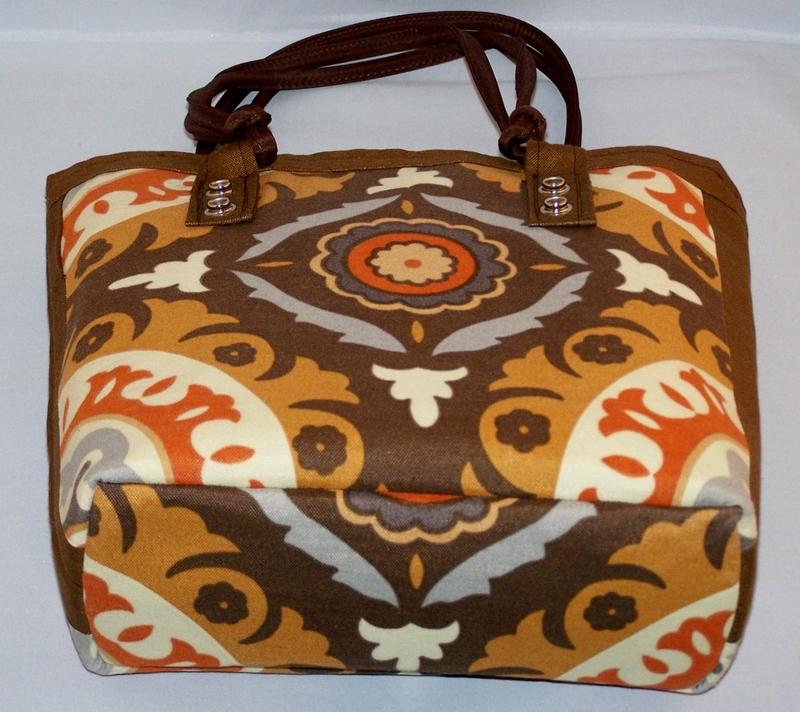 Love this fabric, especially for fall. love it! Thank you! Yes, I’m working on my fall collection now. Hit! They are not my colors – but I like them and know plenty of gals that would rock this look! 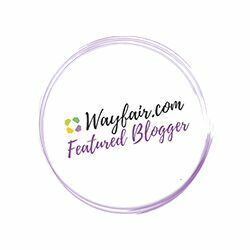 You changed up your blog it looks great! I love this purse! I think it is FAB! I like the purse a lot. 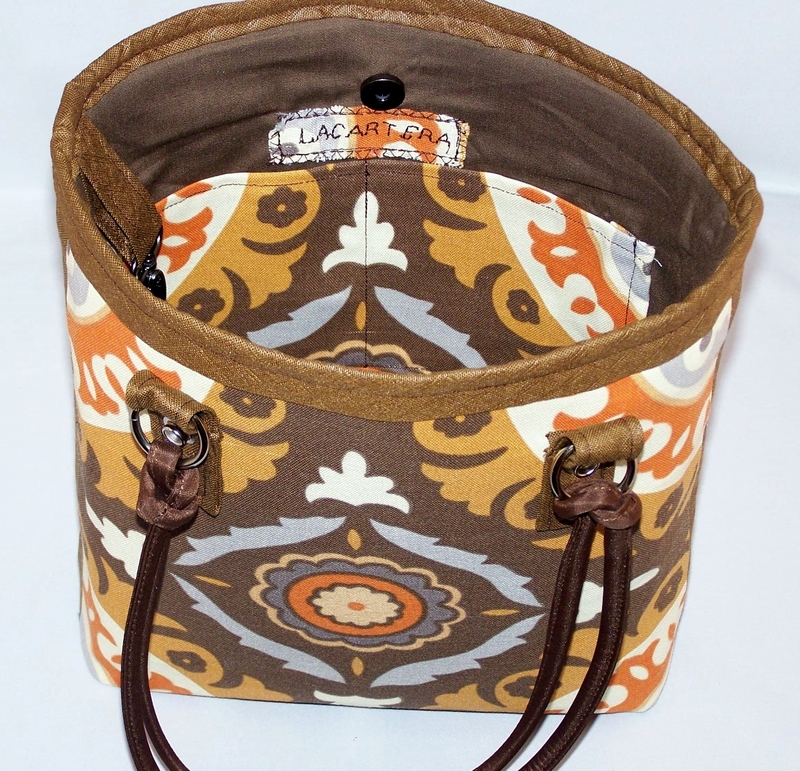 Even though you say the snaps are decorative you could make the functional by adding a pocket to the outside with tote hidden inside so that you had an emergency bag handy when you needed it.